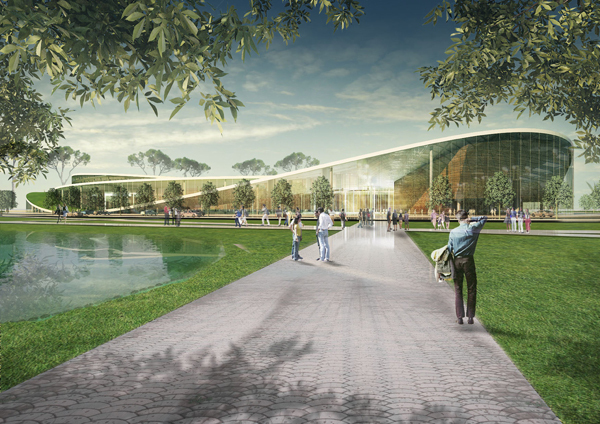 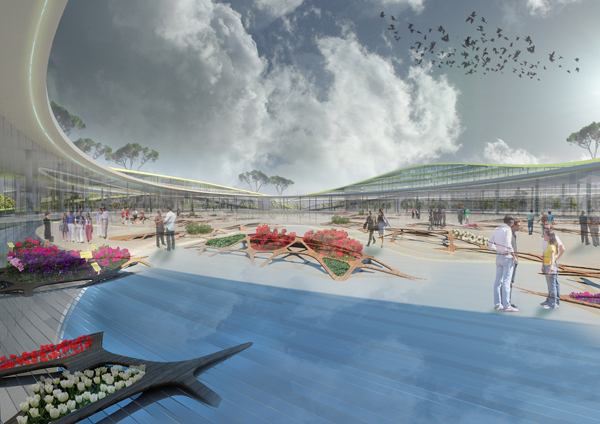 This project designed by Italian architect Massimo Guidotti covers an area of 18 ha and provides the design of a fair for nursery gardening, as the main function in a series of collateral ones such as offices, shops, an auditorium, a bank, a post office, a hotel and a big event square. 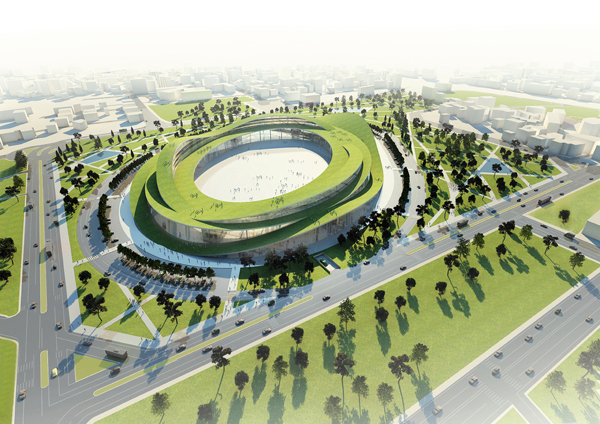 The roof, totally accessible, with its continuous movement becomes the distinctive sign of the whole project which, according to the point of observation, creates an always new suggestion in the visitor and turns into the icon of the project and, at the same time, into the climatic moderator. 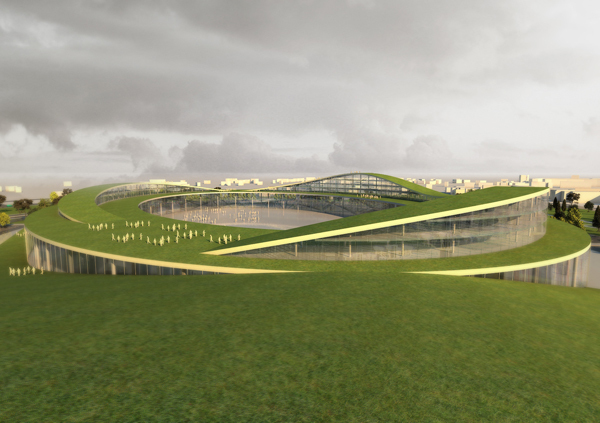 Dynamism as a metaphor of energy and innovation; green as a sign of respect towards new generations. 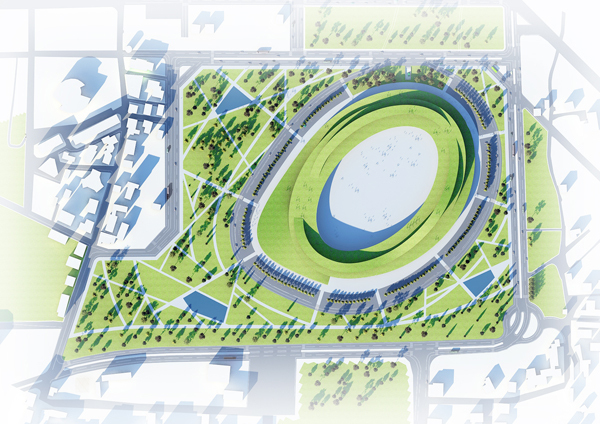 The building appears as a stratification of rings, with variable sections and different interior functions, as from the centre one moves outside, where the new park, also part of the project, is situated.